Latest lettings market data from high-end agency Knight Frank shows that average rents in prime central London rose 1.1 per cent in the year to March - in prime outer London the figure was 0.6 per cent. “Rental values have strengthened as the supply of lettings property has reduced in response to tax changes, including a ban on tenant letting fees, which is due to be introduced in June” says the agency’s head of research for London, Tom Bill. Although the number of new lettings listings in prime central areas fell 9.2 per cent in the year to February, the rate of decline has moderated. The agency says one explanation is that some landlords have re-listed their property to let after failing to sell for the asking price. This contributed to an 8.2 per cent rise in the number of tenancies agreed in the year to February. Meanwhile the number of new tenancies agreed for homes rented out at less than £1,000 a week increased by 15 per cent in the year to February; between £1,000 and £5,000 per week, the rise was 7.3 per cent. But at the very top end there was a 2.2 per cent decline for £5,000-plus per week properties. 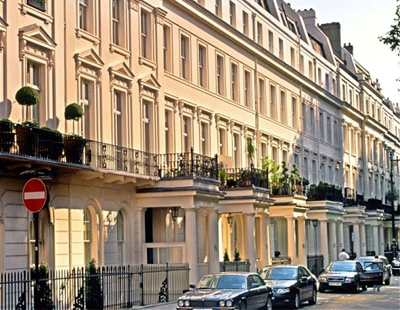 “As sales values continue to decline and rental value growth strengthens, yields in prime central and prime outer London have climbed” says Bill.